The city of Nawabs has a wedding bonanza and a fiesta to watch out for. Our wedding planners in Lucknow are at your service to make your D-day memorable and to share their cultural tips for a splendid décor on the day. 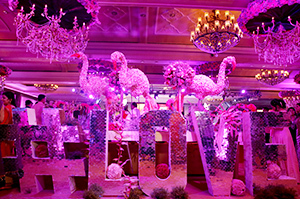 We at FnP weddings are a team who are passionate about our work and committed in assisting our clients with all aspects of wedding planning right from pre wedding rituals to post wedding nitty-gritty’s..
We do it the smart way, because every Lucknow family is full of style and ideas, and no service can take that family sheen from you. We try to understand our customers tastes, preferences and guidance at every step and help you to uphold your family values, culture and heritage, for pre-wedding and wedding rituals. So, you have the task of painting the family wedding portrait on a neat canvass, and entrust the responsibility on our best wedding planner in Lucknow. 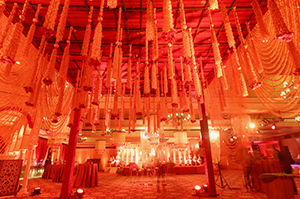 Why do you need a wedding planner in Lucknow? A good wedding planner will always walk the path with you and give regular updates on trending patterns of hosting a special Lucknow wedding. There is so much happening around in the city, and we are sure you don’t want to miss the flavour of the season. If you are already spending a fortune to do the wedding, then why not incur a nominal cost to host it in a perfect way. Our appointed wedding planners have a taste for the latest in wedding style, wedding attire, wedding settings, and venue. They also negotiate hard with the vendors to save costs for you at every step. Plan a unique and custom wedding in Lucknow with FnpWeddings. Live your dream and plan an unforgettable wedding experience in Lucknow with FnPWeddings’ team of experts.